Asset protection and business planning are two of the most important things that you can do to grow your company, grow your wealth, and create the most secure future possible for yourself and your loved ones. Every business owner needs a plan and everyone who is building a nest egg needs to find ways to protect their assets. Randy Holmgren is here to provide the help you need. Randy will help you make the most effective use of legal tools available in Utah – including the Asset-Protection Trust which was enacted as a state law in 2013. Every situation is different, and Randy will help you to make the plan that is right for you, whether you’re a startup, an established enterprise, a wealthy individual, or just beginning to grow your money. When is asset protection and business planning necessary? What is involved with asset protection and business planning? Randy will help you to analyze your asset-protection risks and the solutions that will be best utilized to minimize or eliminate those risks. Asset protection and business planning are both necessary when you are trying to build something big that will keep you and your family secure. As you grow your company, you need to make sure you protect those assets and your investments with the right legal tools. A buy/sell agreement can keep your business out of the wrong hands in case any co-owners divorce or need to leave the business. Partnership agreements or shareholder agreements spell out the role everyone in the company will play. Employment agreements also help to make sure everyone’s role is clearly defined. Incorporation, or the selection of the right business structure, can protect. personal assets and allow you to get the most favorable possible tax treatment. A business succession plan can make it possible for your company to pass on to the next generation. Asset protection is also important, both for business owners and anyone who is saving money and creating a nest egg for their future. Your assets, including the value of your company, could be lost if you have irresponsible heirs, or if a large estate tax bill is charged upon your death. Lawsuits are another peril. An experienced asset protection and business planning lawyer helps you to identify the threats to your wealth or your business organization and assists in using the right legal tools to minimize the potential for loss. Negotiate and draft contracts like employment agreements and buy/sell agreements so you understand the contracts and make the best deal possible. Create an incapacity plan so your business and/or your investments and assets can be managed by a trusted person who you name as your agent or by a trustee if something happens to you. Create an asset protection plan so you don’t end up losing your wealth or your company because of threats to your assets. Create a legacy plan that allows you to quickly transfer your company or other assets so they can be appropriately managed by new owners. Create a plan to reduce or avoid estate taxes, which could reduce the wealth you leave behind and/or which could necessitate the sale of a business or company assets if there is not enough money to pay. Many business owners have their money invested in the company and there are not sufficient liquid assets for an estate tax bill to be covered. Randy and his partners at Jones Waldo law firm understand the different tools available under Utah law that help business owners and people who want to amass assets and achieve financial security. Randy Holmgren has helped many business owners and many clients who are acquiring assets in Salt Lake City, Provo, Orem, Ogden, Park City, Cedar City, St. George, and surrounding areas throughout Utah. 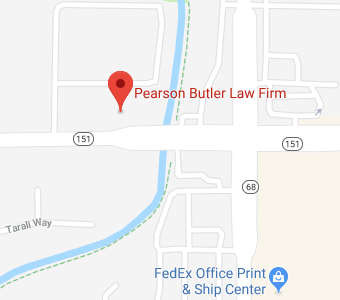 In fact, the Jones Waldo law firm was founded in 1875 – before Utah became a State – and it is the longest-established law firm in the Utah and the intermountain area. We understand how hard you work to build your company and to build wealth, and we’ll arm you with the tools and information you need to protect all you have worked to achieve. Give us a call at 801-534-7271 or contact us to find out more.